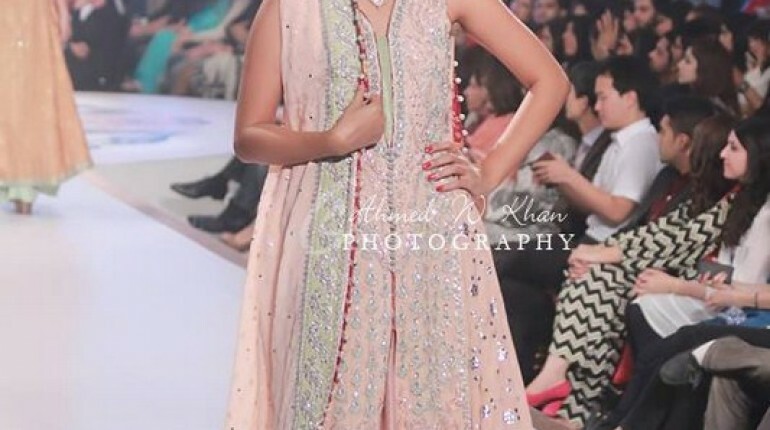 Before talking about the superb looking Sana Abbas collection at Pantene Bridal Couture Week 2014 we would like to talk about this designer as well. 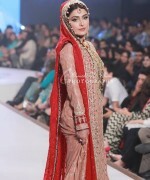 Sana Abbas is known as being one of the most famous and well known fashion designers. Her collections no matter whether they are in the formal wear, party wear or the bridal wear are being huge loved and well liked by the fashion lovers. 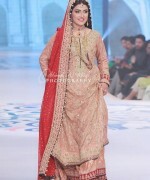 This time Sana Abbas has appeared with her gorgeous collection of bridal wear in Pantene Bridal Couture Week 2014. 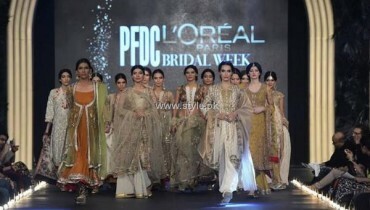 This event was arranged in Karachi on 9th May 2014 and came to an end on 11th May 2014. 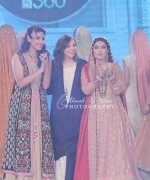 It was all arranged by HUM TV along with Pantene brand. 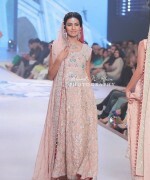 If we talk about this Sana Abbas collection then in this collection the fashion lovers will going to take hold over some of the fabolous bridal dresses designs that are simply breath taking. 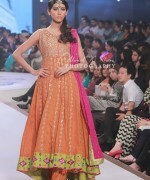 Long shirts have been set with lehengas plus frocks and straight shirts as well. 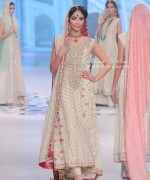 In addition the bridal dresses in the collection have been heavily set with the adornment of the stone, dabka, motifs and use of heavy form of embroidery as well. 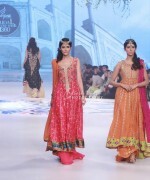 Let’s have a look at some of the fine looking pictures of Sana Abbas collection at Pantene Bridal Couture Week 2014. Colors are used up in soft and lighter flavors just like the pink, peach, soft yellow, red, white and blue. 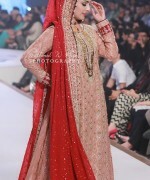 In all the dresses creative use of cuts and designs are ending the collection exceptional looking. 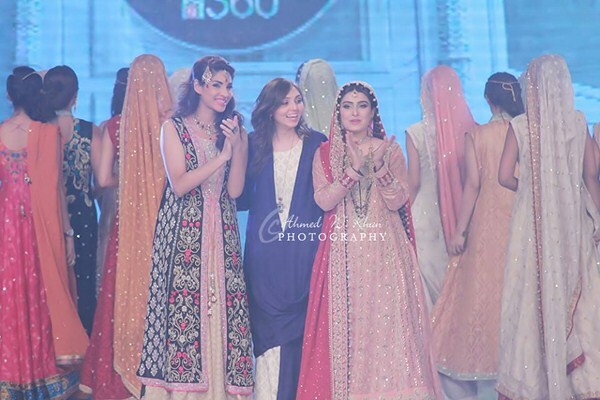 The main show stopper for Sana Abbas collection 2014 was famous actress Aiza Khan and Zale Sarhadi. 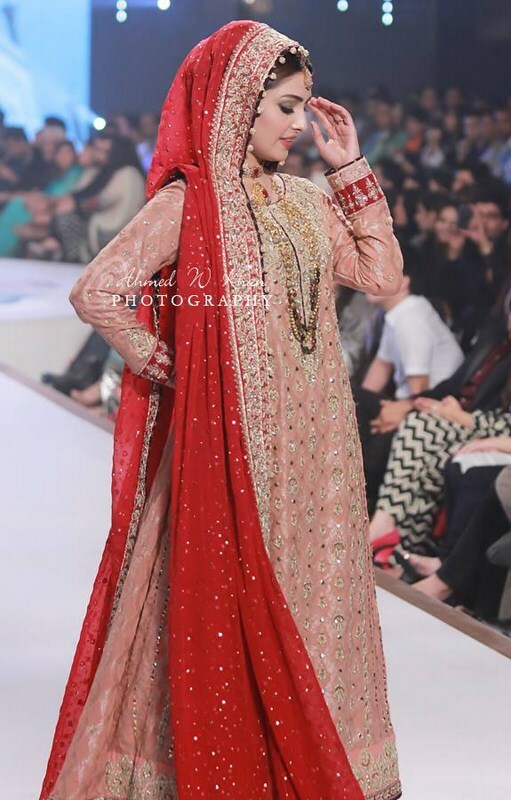 Well overall this collection of Sana Abbas at Pantene Bridal Couture Week 2014 was alluring and coming out to be attractive looking for the eyes. Do you love her collection?